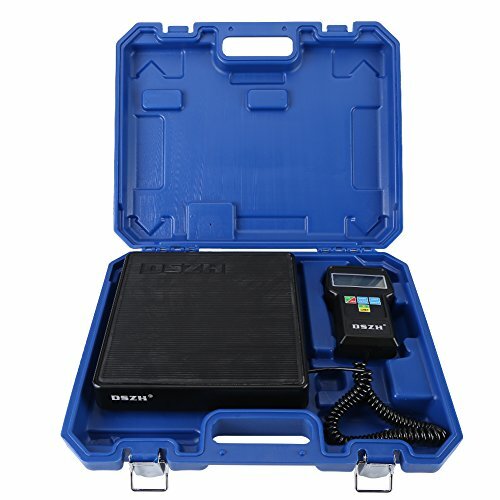 A Refrigerant Charging Scale is ideal for HVAC and refrigeration service, including the critical charging of small refrigeration systems. 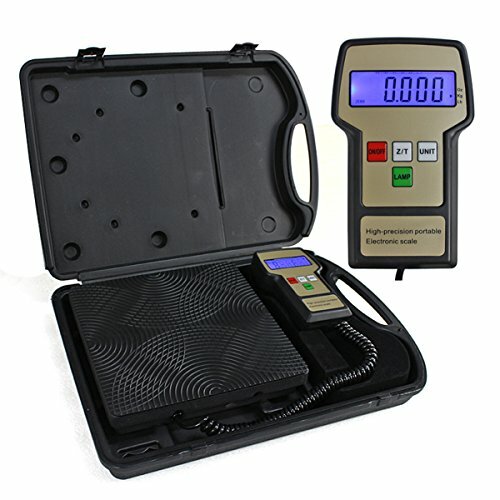 This Refrigerant Charge Scale offers the highest accuracy of +/-0.25oz.(5grams. ), delivering dependability to get the job done right. The slip resistant platform handles all types of refrigerant cylinders with ease. It's really an ideal tool for recharging and recovering all types of refrigerants. Features: High capacity: 220lbs. (100kg) Three display modes: kgs, lbs and oz. 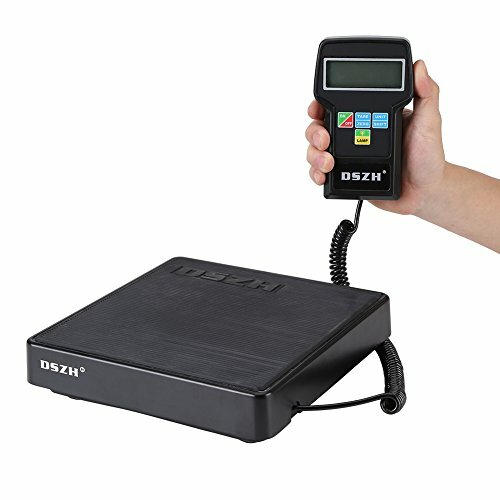 Extra large LCD display with background lamp Slip-Resistant 9" x 9" weighing Platform Built-in memory remembers previous reading Flexible long coil design Rugged, compact design, completely portable High accuracy and resolution Can be used with all refrigerants Heavy duty carrying case included Specification: Capacity: 220lbs. 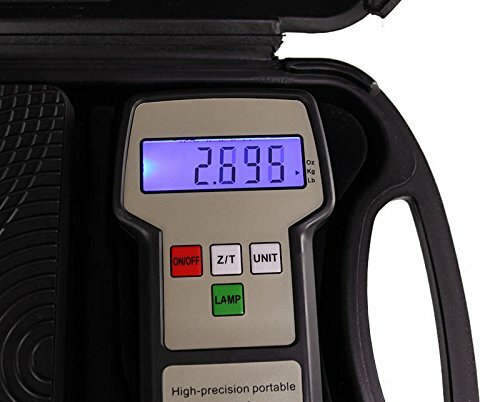 (100kg) Accuracy: +/- 0.5% of reading Resolution: 5g /0.010lbs./0.25oz. 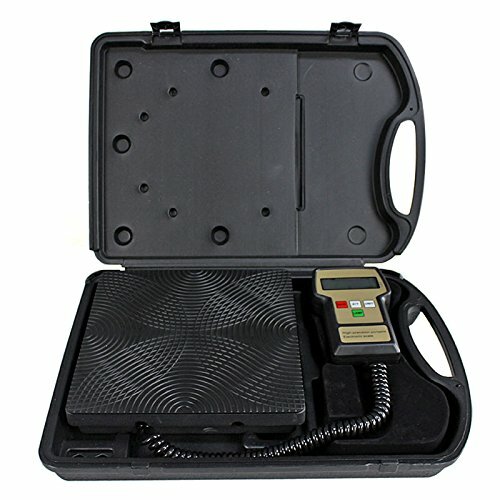 Power: 9V DC Unit: Lb/Kg/OZ Operation temperature: 32°F to 113°F (0°C to 45°C) Weight: 2.485kg(5.47OZ) Platform size: 9" x 9" Overall dimension: 9" x 9" x 1 1/2" Package Included: 1 x Refrigerant Charging Scale 1 x Heavy-duty Carrying Case 1 x English User's Manual Batteries are not included. 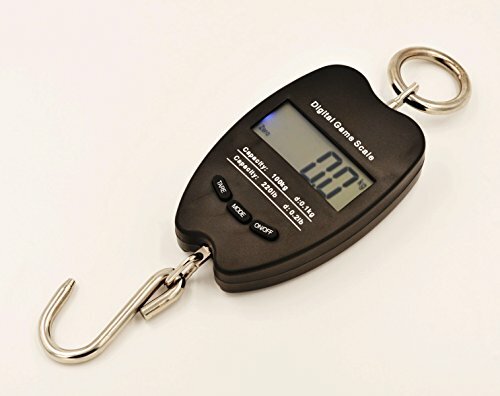 This hanging scale, weighing up to 100kg/220lb and with stainless steel S-hook and O-ring, can weigh your catches from hunting and fishing, especially as deers and turkeys. After weighing stabled, there will be an O shown on the upper left corner of the display. The result will stay even when you remove the weight. With 1 inch high numbers showing through the display, it is very easy to read the result. 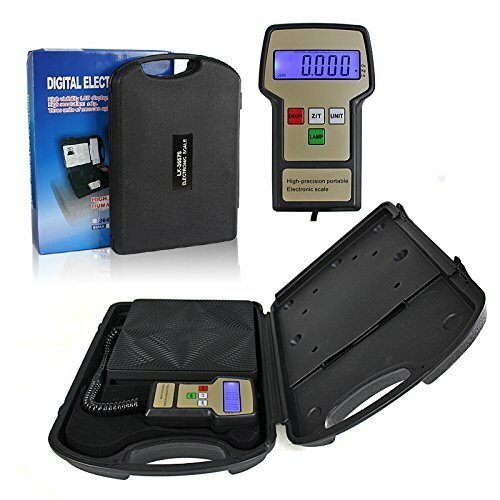 Weighing units can be set as: kg/lb/St, Powered by 2 X CR2032 cell batteries. This item can be shipped from the US now. 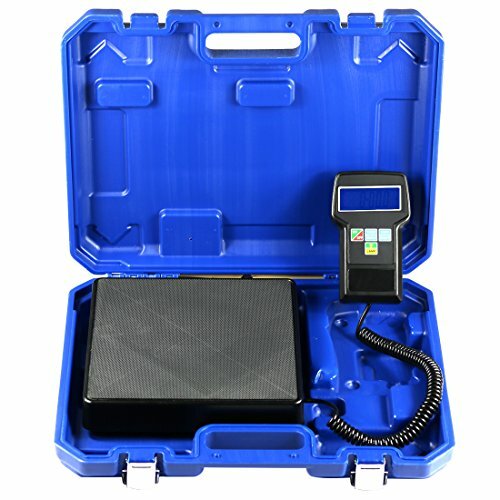 A Refrigerant Charging Scale is ideal for HVAC and refrigeration service, including the critical charging of small refrigeration systems. 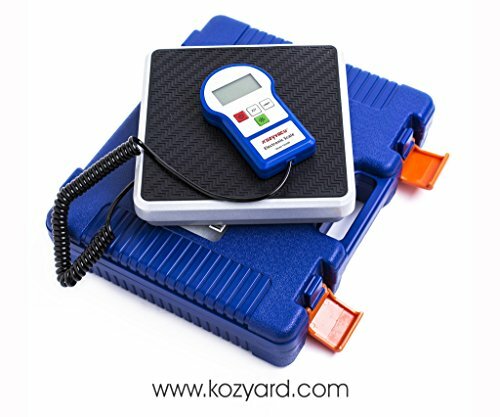 This Refrigerant Charge Scale offers the highest accuracy of +/-0.25oz.(5grams. ), delivering dependability to get the job done right. The slip resistant platform handles all types of refrigerant cylinders with ease. It's really an ideal tool for recharging and recovering all types of refrigerants. Digital Heavy Duty Platform Thin Industrial Parcel Scale - Unstable!